We effectively manage risk in our lives on a daily basis; whether it’s putting a car seat belt on or choosing a safe place to cross the road. But when it comes to entering a building, we put some of that responsibility into someone else’s hands. Should a fire break out whilst we’re in that building, the pace of its spread will be greatly determined by the effective compartmentation, and if the right specification of fire doors and seals have not been installed, the risk escalates to a level that most of us would not wish to contemplate. What constitutes a fire door? The fire door is a highly designed construction product that, when assembled and installed correctly, plays a vital and integral role in the fire strategy within any building. Whilst providing and maintaining fire performance, exterior pedestrian fire doors must also provide further essential roles including security and thermal performance to comply with the building regulations. The overall effectiveness of a fire door relies directly on other components that should be installed with the door leaf, to ensure that the complete assembly will perform as a valuable and operational fire door. There are many critical elements to incorporate into any fire door assembly: the leaf, the frame, the glazing, seals and essential architectural ironmongery such as hinges, handles, latches and hydraulic closers. Increasing evidence is also surfacing on newly installed fire doors that are not being fitted in accordance with manufacturers’ instructions or even in accordance with industry best practice, Furthermore, many possess no relevant fire test performance results. Producers of fire door assemblies that serve the Middle East must look to work closely with certified component suppliers that understand the specific technical requirements of this region from the very beginning of a project, so that the necessary approvals can be achieved and safety from fire optimised in all new builds. Without doing so, the above statistics are not going to diminish. Pyroplex for example, has worked to fully understand the technical requirements and regulatory authorities in every single region of the world that it operates in. 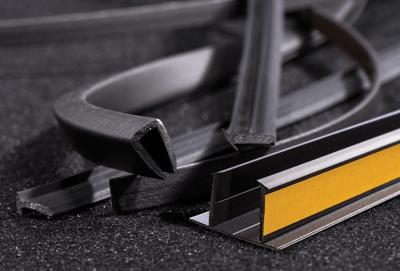 By doing so, it can guide its customers through an often-complex process to specify and install the correct timber fire door seals to ensure standards are met and indeed, exceeded. Of course, a fire door in isolation is of little consequence if the correct seals are not also installed, and this problem can be seen in far too many new buildings. For fire doors to operate effectively, the perimeter gaps must be sealed so that fire and smoke cannot escape through them, reducing the seal that the door should provide. All designated fire doors and smoke control doorsets are provided with an intumescent sealing system and so there is no excuse for their lack of use. Intumescent seals are an essential component and understanding exactly how they work will highlight this. 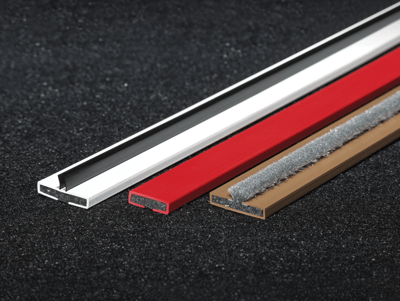 When exposed to fire, intumescent seals will expand, generating high pressure and multiplying many times in volume, effectively sealing the gap between the door and framing section for the required level of fire resistance. The goal must always be to manufacture and install passive fire protection products such as timber fire doors and seals that are recognised by independent third-party certification schemes. The key purpose of such schemes is to formally assure performance, quality, reliability and traceability of these products and to help maintain high standards of fire safety across the globe. 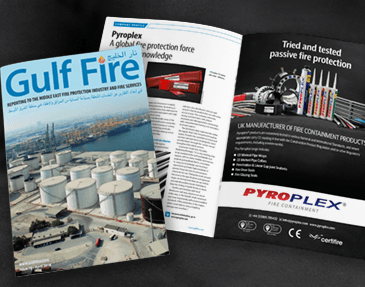 Recognised by regulatory authorities worldwide, these schemes are an internationally respected mark of fire protection and some of the most authoritative voices in the industry. By setting the standard with third-party certification, you are giving the regulator, the owner and the end user confidence with regard to the intended purpose of the building and the stated performance of fire protection. There are many authoritative sources of advice and information that can assist specifiers, contractors and many other interested parties in the matter of timber fire doors and their correct specification. The Architectural and Specialist Door Manufacturers Association (ASDMA) for example, can provide a wealth of information and help. Formed in 1990, ASDMA has expanded significantly in membership and areas of operation since its launch. With members now including suppliers of hardware, seals and glazing, in addition to UKAS accredited test houses, the main purpose of the association is to promote best practice in the manufacture and supply of bespoke timber doors and door sets. 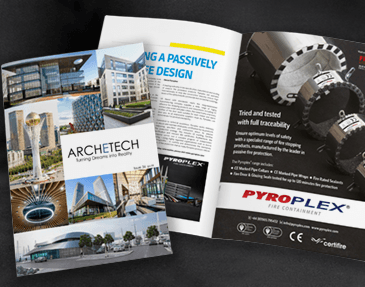 Pyroplex is heavily involved with the support and knowledge that ASDMA provides, constantly collaborating with accredited test houses worldwide and with direct access to many European technical committees. Indeed, Pyroplex was a key contributor to the ASDMA Best Practice Guide, which is freely available from the organisation. There is no doubt that the issue of timber fire doors and fire seals is complex, and as construction expands and develops across the Middle East, there is an increased need to educate and guide those parties involved in the development to ensure that they are effectively managing the fire risk for all those that will enjoy the new buildings in the future.